After months of speculation and sifting through rumors, Samsung finally unveiled its Galaxy S7 and S7 edge flagships, and they're pretty much what we had been anticipating. But just because there weren't any major surprises doesn't mean that it's not still exciting. Let's have a look. The Samsung Galaxy S7 edge (left) and the Galaxy S7 are finally here. The only differences between the two handsets spec-wise are the display size—S7 edge has a 5.5" curved display, compared to the S7's 5.1" display—and the battery size—3,600 mAh for the S7 edge; 3,000 mAh for the S7. Both are major jumps from last year's S6 handsets. Both displays will be Quad HD Super AMOLED with a resolution of 2,560 x 1,440 pixels. This means that the S7 will show slightly more ppi (pixels per inch) than the S7 edge, at 577 ppi to 534 ppi, respectively, due to the bigger dimensions of the S7 edge variant. The S7 and S7 edge will also both feature an always-on display so that you can check your notifications or see what time it is without having to turn on the full display, thus saving a some battery life since the mostly-black display will not have to power on most of the screen (a feature of AMOLED displays). The U.S. versions of the handsets will run on Qualcomm's Snapdragon 820 SoC, while the international version will feature Samsung's own 8-core Exynos 8890 SoC. Other than this, it appears the U.S. and international versions will be identical. All versions will ship with 4 GB of RAM. As expected, the unpopular "camera bump" has been significantly scaled back on the S7 and S7 edge. Some may scoff at the 12-megapixel camera on the back, but megapixels aren't everything, and early reports say that this could be one of the best smartphone cameras ever. The camera should perform especially well in low-light situations, thanks to its f/1.7 aperture and optical image stabilization (OIS). Unlike last year's models, the S7 and S7 edge will only have 32 GB of on-board storage. However, it will once again feature a microSD slot for expandable storage, like the S5 models, and will support cards up to 200 GB. There is one minor drawback, though. The microSD card is inserted on a removable tray that also includes the SIM card, so you'll have to momentarily remove your SIM card to add or switch microSD cards. 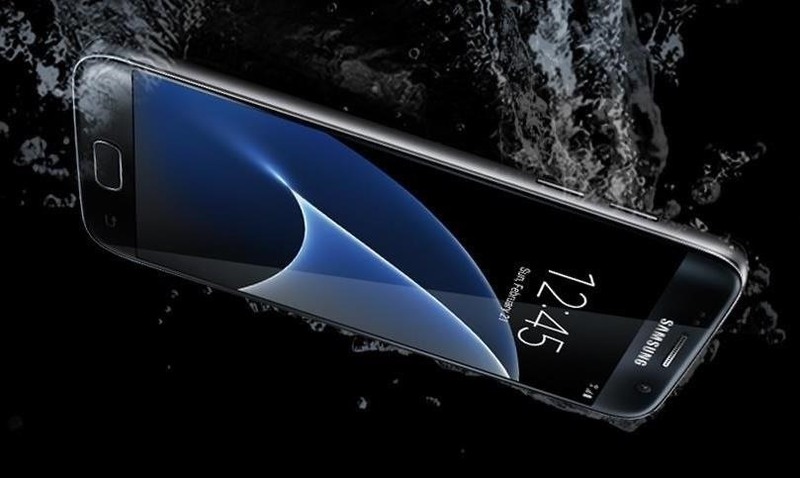 Samsung's flagships are once again water- and dust-resistant (the S6 models were not), with an IP68 rating that's one point above the Galaxy S5's IP67. So, your S7 or S7 edge could withstand depths of up to 1.5 meters for half an hour before suffering any damage. As for the price, Samsung hasn't announced off-contract pricing for the handsets yet (at least for the U.S.), but they'll most likely cost $699 for the S7 and $799 for the S7 edge. Preorders begin tomorrow, February 23rd, and include a free Gear VR headset, about a $99 value. Best Buy will also throw in a 64 GB microSD card if you buy from them, while T-Mobile will throw in a year of Netflix. T-Mobile subscribers can get the S7 for $27.91/month, and the S7 edge for $32.50/month. AT&T subscribers can get the S7 for $23.17/month with a 30-month Next 24 plan, or get the S7 edge for $26.50/month. Verizon Wireless is a bit more scarce on details, but preorders can be made on the same date as the rest of the carriers. Sprint is offering the S7 for $27.09/month, and the S7 edge for $31.25/month. 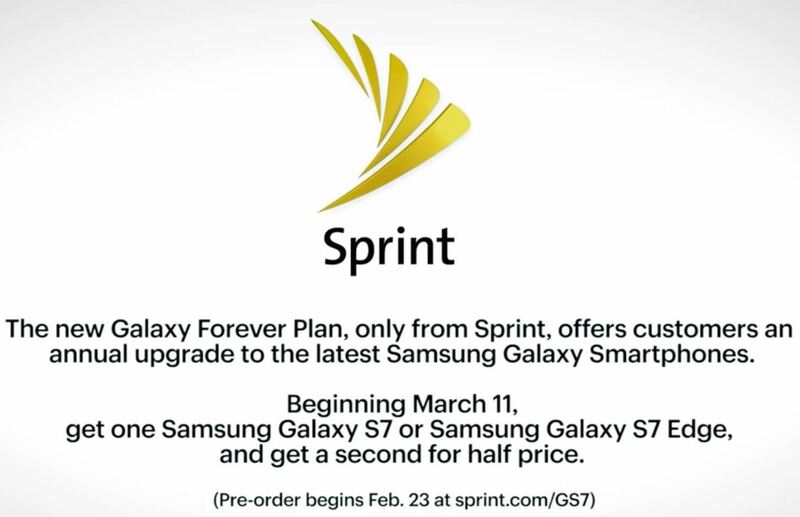 Sprint will also extend its Forever program to Galaxy devices, meaning you can upgrade to the latest device each year with "Galaxy Forever."